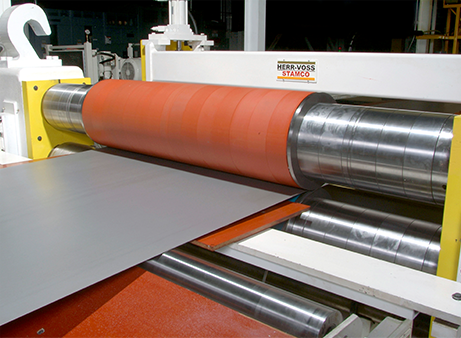 Slitting - Ferrolux Metal Co.
For surface critical applications, Ferrolux provides quality that meets your toughest requirements. Increase your yield and profits. This gives you increased flexibility and allows you to maximize your yield, minimize shipping cost and boost your profitability. 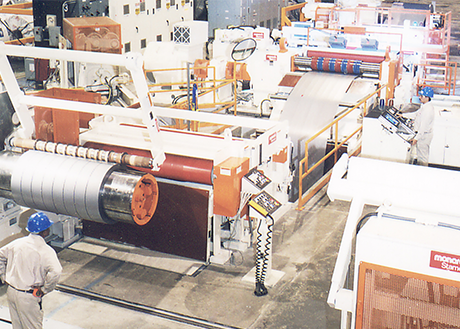 Proprietary arbor and tooling technology and a fully integrated drive system completely synchronizes the uncoiler, slitter, tension stand, and the recoiler. This provides the precise tension control necessary to produce the perfect material you need. Oil can be electrostatically added during coil processing to meet your lubrication and coating weight specifications. All surfaces that come in contact with your material, from C-hooks to turnstiles to coil cars, are urethane-covered for superior protection from marks, scrapes and scratches.